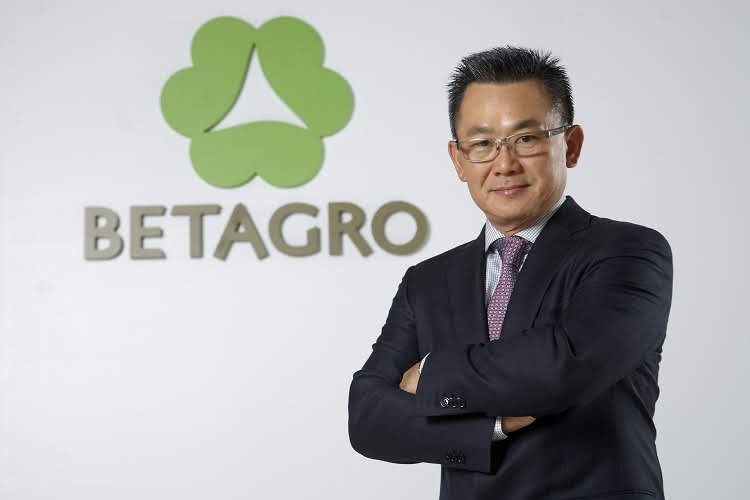 Bangkok - Betagro Group, the leader of agricultural products and food in Thailand, is committed to be the leading producer of high-quality and hygienic food, throughout the 50 years in the industry. Offering Uncompromising Quality the brand is now ready to capture the sausage market, investing 140 million baht to win a larger share in the market which is worth 35 billion baht. Its new campaign ‘Awakening All Sense’ uses Pope as its presenter for Betagro smoked sausages. 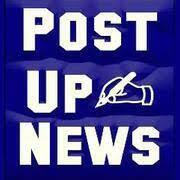 The company also expands its distribution, with an aim to push its sales by 20%. Vasit Taepaisitphongse, CEO and President of Betagro Group, said that Betagro smoked sausage has been a favorite among consumers for almost 30 years. The premium sausage is made of high-quality pork and chicken from Betagro, with a crunchy texture thanks to the ultra thin casing. The sausage is rich and juicy, with a natural beech wood aroma. This new launch is to enter new markets, increase brand recognition, and increase sales and distribution to reach its target consumers age between 15-40 years old with urban lifestyle. They look for convenience, eat anywhere, anytime, not just in main meals. However, they prefer high-quality and delicious food. The company believes that the sausage market still has room for growth, and sausages have become more popular. In Thailand, processed meats such as sausage, ham and bacon enjoy a 5-6% growth annually. In 2017, the growth was 6% from 2016. Betagro sausage’s growth is 10% annually while its market share is 15-20% of the 35,000 million baht market. The market is divided into three segments: Premium at 5%, standard at 70% and economy at 25%. 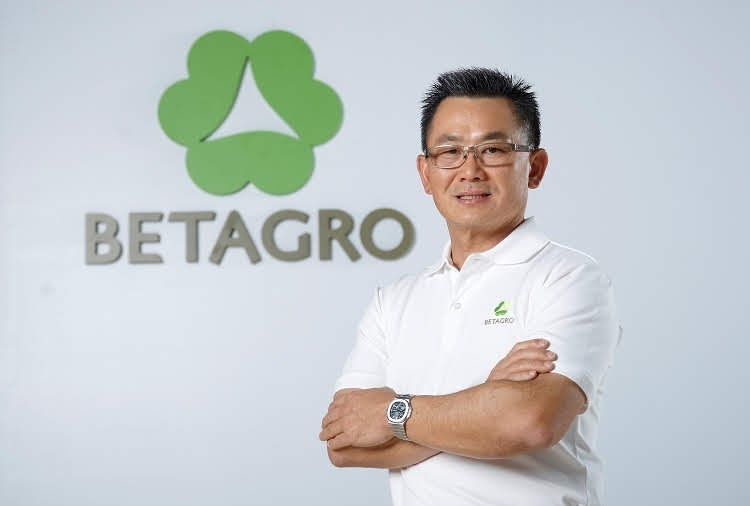 Betagro also has the plan to expand its distribution through modern trade, convenience stores, and food chain such as restaurants, hotels, fresh markets and traditional stores, as well as its own stores, Betagro Shops and Betagro Delis, which will reach 250 branches within 2019. The company is also expanding its e-commerce platform. This year, Betagro releases its major campaign ‘Awakening All Sense’ to target nationwide consumers, using Betagro’s first presenter for its smoked sausage -- Pope Thanawat. He will invite everyone to join him on the delicious experience through irresistible Betagro smoked sausage in a new TVC which will air nationwide on June 7. Over 300 Betagro executives and employees will travel nationwide to promote Betagro smoked sausage in Bangkok’s commercial and office areas, such as Muang Thai Pattara Complex on Ratchadapisek Road, Phaholyothin Place Building, Ruamsap Market on Sukhumvit 21, and Gourmet Market at Siam Paragon. The troops will also travel to major cities such as Chiang Mai, Khon Kaen, Pattaya and Phuket. Additionally, there will be ‘BETAGRO FAN MEET: Eat Sausage with Pope’ at Fashion Hall, 1st floor, Siam Paragon.